Each model kit contents 1 sheet of decal. Extra decals can also be ordered. In 1933, the U.S. Material Division at Wright field began a study for a modern bomber that would able to carry 2500-lb bomb load form 5000 miles and 200mph. This specification was then submitted to the War Department as "Project-A" and received tentative approval. In 1934, the USAAC began contract negotiations with Boeing and Martin. The specifications called for a long range bomber capable of the destruction by bombs of distant land or naval target, and the ability to reinforce Hawaii, Panama and Alaska without the use of intermediate servicing facilities. Martin submitted Model 145 and was accepted to built a XB-16 prototype. The aircraft was similar in size to the Boeing XB-15, but was to use four Allison liquid-cooled engines instead of air-cooled radial engines that normally used on bombers in the 1930s. In order to increase the range and bomb load, Martin revised the XB-16 design making it much bigger. 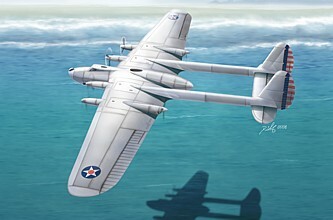 The wing span was increased to 173 feet and six engines were used, four on the leading edge and two on the trailing edge. 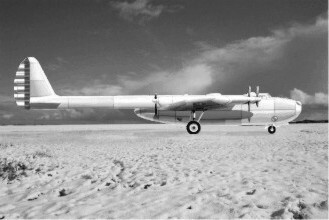 The XB-16 was considered as being too large and expensive, and the project was cancelled before anything could be built. 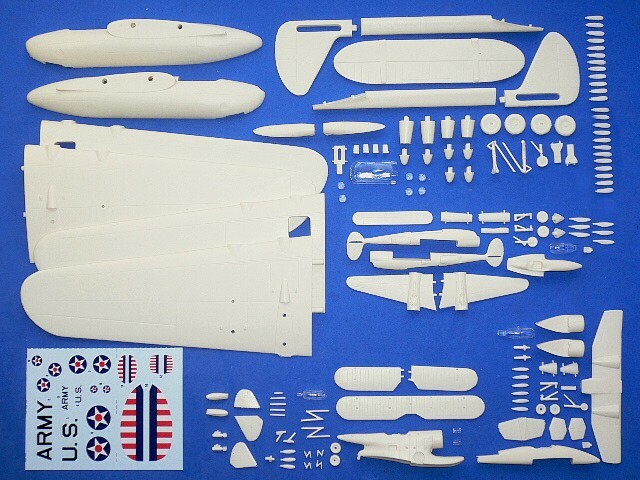 The Martin XB-16 is suitable to group with the following collection series.